One of the great things about buying secondhand is the opportunity to purchase designer labels that would otherwise be way beyond our reach. I have selected several Trelise Cooper designed garments that are currently up for auction on Trademe.co.nz. 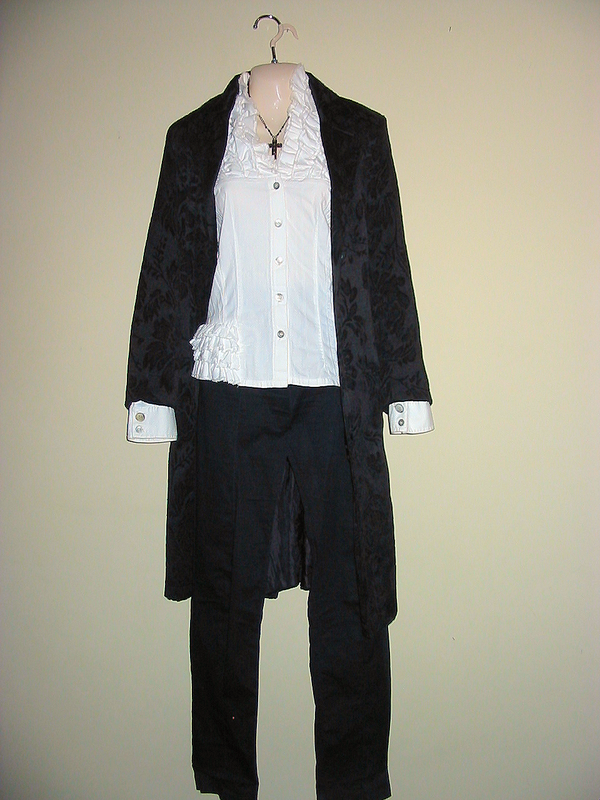 I love to have a theme when I dress and this is my highwayman outfit. The trousers are narrow-legged with a smart sewn-in pleat down the centre front. The white cotton blouse, designed by Trelise Cooper, was bought for $40 on trademe.co.nz. The original price could easily have been close to $500. The frills about the neck and on one side at the hemline is right in keeping with the theme. Trelise Cooper garments are a favourite of mine because of her unique touches. I have bought several items of hers. Occasionally they don’t fit and so I sell them on, always for good money, even making a small profit because I display the clothes well on my mannequin and that makes all the difference. Over the top I wear an embossed velvet fitted coat I also bought on trademe.co.nz for about $30. No one else bid for it because they couldn’t see the potential. Many people remark on it when I wear it. 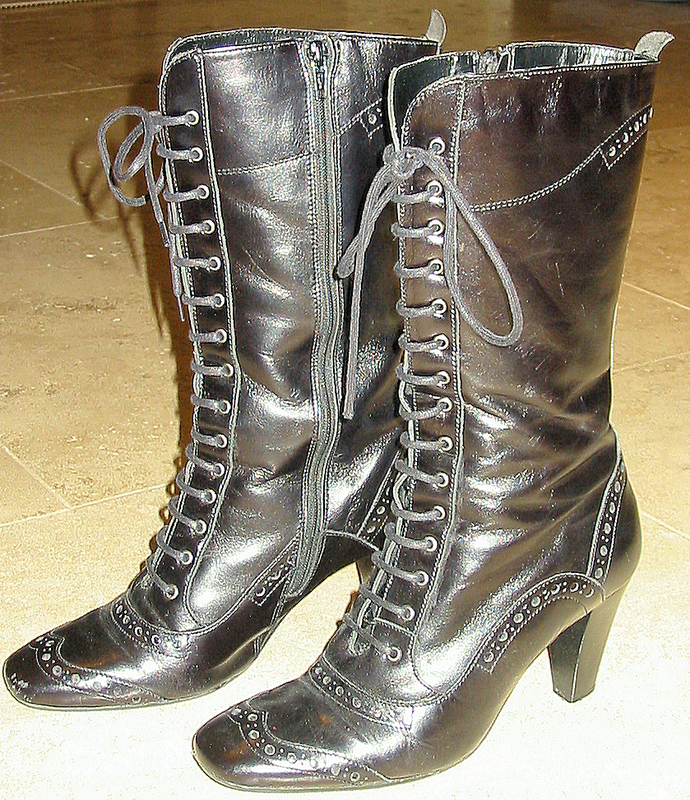 The only appropriate footwear are the lace-up boots in the photo. The trousers are tucked into them and they complete the look perfectly.